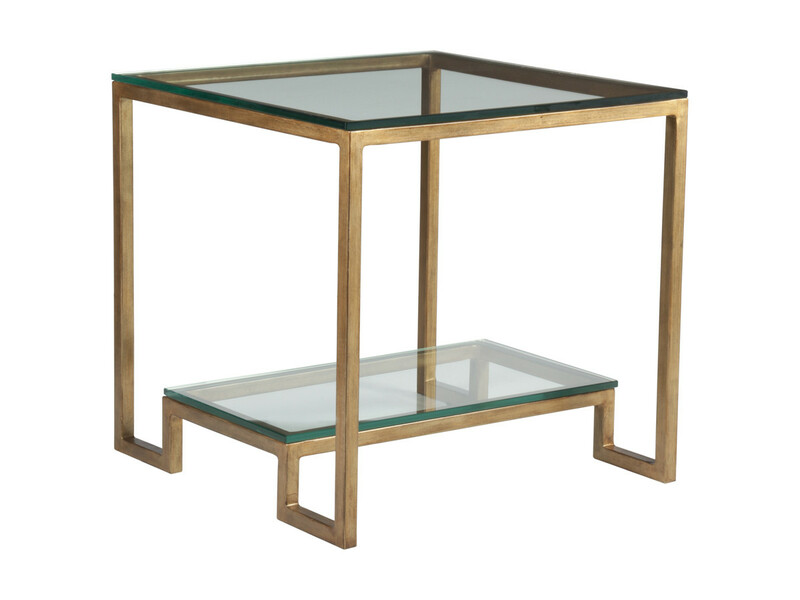 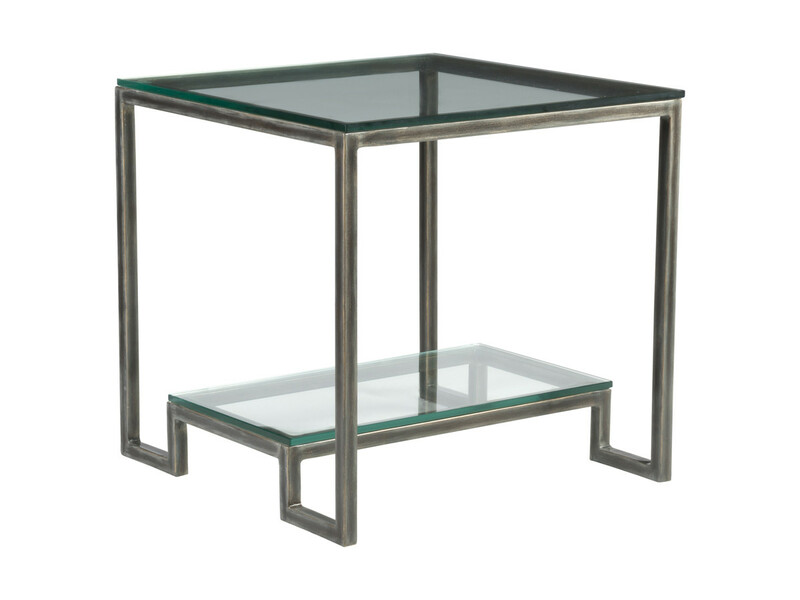 Hand-shaped tubular steel frame with flat polished glass top and shelf. 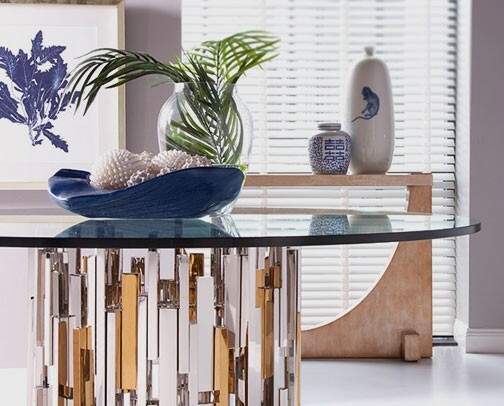 Shown in the Argento finish, an antiqued silver with gold undertones, but also available in all Artistica Metal Designs finishes. 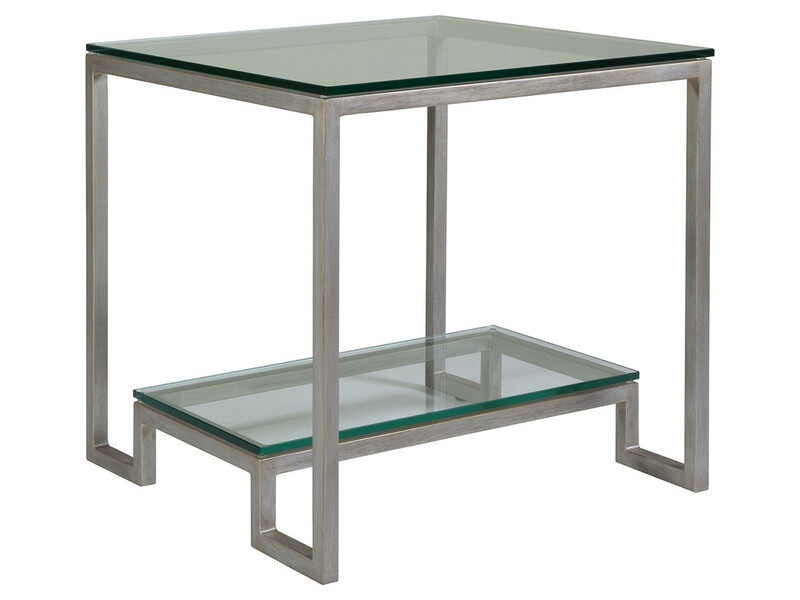 Dimensions: 25W x 25D x 25H in.